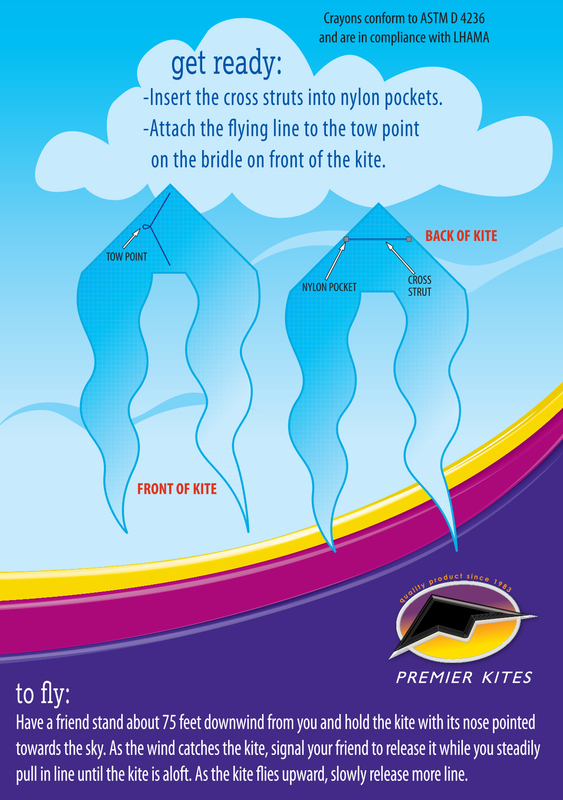 Premier's Coloring Kites feature bold themes that are enjoyable to color and beautiful to fly. Some designs include background colors that are already pre-printed so anxious artists can finish their masterpieces for fast flying fun. All kites feature long flowing tails that can also be custom colored. Based on one of our most stable designs, artists will be proud to display their works high into the canvas of the sky. A set of eight crayons are provided; colored pencils and most markers will also work for coloring. Click on the additional image to see a fully completed colored kite. Size (w x h): 24.5 x 61 in. / 62.23 x 124.46 cm.